The Cameroonian coach, Mr. Hugo Broos, say the Indomitable Lions, having played at the Confederation Cup in Russia, is more experienced than the Super Eagles of Nigeria. 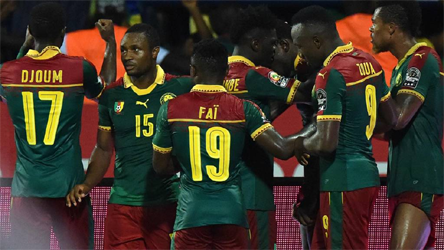 Cameroon coach Hugo Broos admits their 2018 World Cup qualifying campaign is doomed if they do not take at least four points off Nigeria in back-to-back clashes. Indomitable Lions of Cameroon coach Hugo Broos has turned down an offer to coach Zamalek of Egypt. 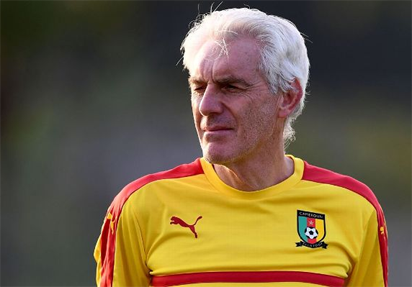 Cameroon’s Africa Cup of Nations-winning coach Hugo Broos has threatened to quit over management and funding problems in the national team set-up.